If you're starting 2015 with new health insurance, congratulations. We just learned that about 110,000 North Carolinians used the federal marketplace to buy new policies that take effect Jan. 1. Almost 140,000 others who already had coverage through the Affordable Care Act went to HealthCare.gov by Dec. 15 to either renew that plan or select a new one for 2015. For those who procrastinated, there are six more weeks to sign up and/or compare options. The numbers suggest that tens of thousands in this state simply let their 2014 policies renew. That may bring a bigger bill in January, but it's not too late to switch. You can still shop around and make a new choice that will be effective in February or March. "We know from past experience that people don't like shopping for insurance and inertia takes over," said Adam Linker, health policy analyst for the N.C. Justice Center. Linker notes that unlike last year, when choices were final, this year's rules allow changes up to Feb. 15 even if you already made a 2015 selection. He suggests using the next six weeks to call your doctors and check with your preferred hospitals to make sure they're in the network for your plan. Even if you checked when you were buying, there can be hiccups and last-minute changes. It's better to discover them while you still have options than when you're sick and stuck. Carolinas HealthCare System is still offering financial aid to help some low-income patients pay insurance premiums for 2015. As I reported recently, the system has launched a new program to help people whose income falls between 100 percent and 250 percent of the poverty level buy health insurance on the Affordable Care Act marketplace without facing high deductibles. Dec. 15 was the deadline for getting covered by Jan. 1, but the program continues until open enrollment ends Feb. 15. "We have helped close to 400 people get insurance at no charge to the insured," Pardon Dexter, one of the private insurance consultants working with CHS on sign-ups, said last week. "The government subsidy usually covers about 50 percent to 80 percent of the cost and the Carolinas Healthcare Foundation is picking up the rest. In many situations, the gross premium is $600 per month; the government subsidy is around $400 and then the foundation pays the remaining $200." When the marketplace debuted in 2014, many low-income families opted for lower-priced policies with higher deductibles and other out-of-pocket costs. As Dexter noted, if you're making around $20,000 a year, paying $200 a month is still "like Mount Everest." But the prospect of paying hundreds or even thousands of dollars out of pocket means those families either skip medical care or run up debt they can't pay. And that means neither the patients nor CHS doctors and hospitals reap the intended benefit of the ACA. "This is a great community service that the foundation is providing and I can tell you without a doubt that most of the people we are helping would not be able to afford their coverage if they did not get financial assistance from both the federal government and the CHS Foundation," Dexter said. The income range for foundation aid depends on household size. It ranges from $11,760 to $29,175 for an individual, and from $23,850 to $59,625 for a family of four (check info for other households here). People earning up to 400 percent of the poverty level can still get federal subsidies, even though the foundation won't kick in. The CHS Registration Center at Morehead Street and Kings Drive takes walk-ins from 8 a.m. to 5 p.m. Mondays, Wednesdays and Fridays and from 10 a.m. to 7 p.m. Tuesdays and Thursdays. For information about premium assistance or to make an appointment, call 704-446-6150. The deadline to make decisions about Jan. 1 coverage on the Affordable Care Act exchange is almost here. A Gaston County reader wants to know if he can take more time, even if it means he misses the Dec. 15 date and has to make a second switch early in 2015. "I have been trying to compare plans and am running out of time," he wrote Thursday. The answer is yes. No decision by Dec. 15 means an existing policy automatically renews, but enrollment on the exchange remains open through Feb. 15. Customers can start the year with their auto-renew policies and switch in February (if they make a new choice by Jan. 15) or March. This reader, who asked not to be named, illustrates why it's so complex. He had a pre-Obamacare policy with Blue Cross and Blue Shield of North Carolina that he liked, and he kept it as a grandfathered plan in 2014. In October he got a notice that his monthly payment would rise from $745 to $1,360, an 83 percent hike. It turned out he was among 42,000 North Carolinians who got erroneous notices from Blue Cross, but his corrected rate of $1,062 was still up 43 percent. That motivated him to delve into the exchange, which offers 41 plans for Gaston County residents. Choosing the right one means not only looking at the premium but at the out-of-pocket costs and the network of doctors and hospitals available under each plan. He's also trying to figure out whether he qualifies for the federal tax credits. "I would like more time to evaluate the options," he said. Anyone who makes a switch, before or after Dec. 15, should remember the Kaiser Family Foundation's tips to avoid double-billing: Cancel your old policy after you've received confirmation of coverage on the new one. Then keep an eye on your credit card or bank statement to make sure the old payment goes away. Madison Hardee of Legal Services of Southern Piedmont, my go-to resource for things related to the exchange, adds this helpful note: "When completing the application, the marketplace asks if you will be losing coverage in the next 60 days. If so, it asks you to provide the date you will lose coverage. If you are dropping your current plan and answer this question, you should indicate the last day you will have coverage, rather than the first day you will be without coverage. For example, consumers who are dropping their current plan and enrolling in a new plan for 2015 by the Dec. 15 deadline should enter 12/31/14 as their last day of coverage in order for coverage in their new plan to become effective on Jan. 1. If a consumer enters 1/1/15 as the first day they do not have coverage, instead of 12/31/14, he or she will receive a Feb. 1 effective date for the new marketplace plan." If you missed the president's appearance on The Colbert Report earlier this week, it's worth watching the video. With so many other people taking shots at Obamacare, why not give President Obama a crack at it? The set-up is that Obama is exercising his power to take over Stephen Colbert's "The Word" segment. "There are things that people of both parties actually like about Obamacare," Obama says, ostensibly reading Colbert's lines, as the written commentary adds "Everything but the 'Obama.' "
As usual, the side notes make the jokes, but the president has a pretty good delivery (I could swear he even nailed some of Colbert's mannerisms and expressions). "If they haven’t checked the box on healthcare.gov giving the site access to their tax information, they could lose their subsidy and end up with a bill for their full premium for Jan. 1. They can fix this in January, but the subsidy won’t be retroactively applied – which could cost them hundreds of dollars." You have five days -- until the Dec. 15 deadline for making changes effective Jan. 1 -- to make sure you've covered this base. This applies to people who are continuing 2014 coverage and those who have bought for the first time in 2015 (and of course it applies to people who chose Coventry or UnitedHealthcare plans as well as Blue Cross). A couple more reminders from Blue Cross for people who got policies in 2014: If you don't update your information to calculate a 2015 subsidy, the 2014 information will carry over. If the 2015 subsidy would be lower, that means you're paying more than you need to. And if you do nothing by Dec. 15, your policy will continue, but this kind of "passive renewal" can lead to delays issuing ID cards and customer materials. All this is in addition to what journalists and insurance experts have been saying for weeks: Log on to see if there's a better deal than your current policy (remember that you need to look at physician networks and out-of-pocket costs as well as premiums). Switching may seem like a hassle, but defaulting to last year's choice can be costly. If you're looking for help buying or renewing health insurance on the federal marketplace, add Carolinas HealthCare System to the list of options. There's a new enrollment center at the site of a former ABC store at Morehead Street and Kings Drive. Dr. Roger Ray, chief physician executive for CHS, said the system is learning along with the patients. And one of the big lessons from Year 1 of the Affordable Care Act is that not all insurance is good insurance. Too often, he and other CHS officials say, low-income customers who got subsidies on the exchange used them to buy low-cost, low-benefit bronze plans. They ended up paying little or nothing in monthly premiums, but had such high deductibles that they avoided going to the doctor, or went and incurred bills they couldn't pay. "We find them newly interested and newly confused," Ray says of patients who have little experience with health insurance. "We need them to have access to the right care. Ultimately we want them to do well." CHS chose the site in hopes of attracting walk-ins, as well as about 1,000 patients who have been encouraged to come for help. And the Carolinas HealthCare Foundation is providing money to supplement government subsidies so that some low-income patients can pay nothing for their premiums. The goal is to get them to choose a better plan, with government aid covering all or most of their out-of-pocket costs. To be eligible for that aid, people have to fall between 100 percent and 250 percent of the federal poverty level -- $11,760 to $29,175 for one person, $19,790 to $49,475 for a family of three. Brokers from Dexter Insurance Associates and Group Benefit Services staff the CHS center to help customers select a plan. The center is open from 8 a.m. to 5 p.m. Mondays, Wednesdays and Fridays and from 10 a.m. to 7 p.m. Tuesdays and Thursdays. The CHS marketplace hotline, 866-412-0000, takes calls from 9 a.m. to 8 p.m. weekdays. Novant Health doesn't have an enrollment center or provide financial assistance to supplement the tax credits, but it is helping patients check their eligibility for ACA coverage. Click here for more information, call 704-384-0539 to speak to a Novant counselor or attend an enrollment event in January and February. If you want coverage that takes effect Jan. 1, though, remember that you have to make your selection by Dec. 15 and pay your first premium by Dec. 31. That applies to first-timers on the exchange as well as people who have a 2014 policy but want to make changes. Does the Affordable Care Act give employers a $3,000 incentive to hire illegal immigrants? The Tampa Bay Times' PolitiFact.com delved into the claim that's circulating in conservative circles. The conclusion: It could, though the scenario to make that happen is highly unlikely. Reporter Lauren Carroll details the way the act's employer mandate could penalize large employers that drop employee health insurance. Because the penalty kicks in if even one employee qualifies for subsidized insurance on the exchange, and because illegal immigrants aren't eligible for those subsidies, a business could hypothetically duck that penalty by hiring only illegal immigrants, Carroll reports. "The claim isn’t so much inaccurate as it is speculative," she concludes. Or as University of Virginia health law professor Margaret Riley puts it, "It is offered more as another argument against the employer mandate than as something that employers might actually try." The ACA has given fact-checkers plenty of fodder for serious analysis, but PolitiFact's roundup of November's most popular reports includes one that's mostly good for a laugh: That an 86-year-old woman has been executed on orders from an Obamacare death panel. As a reasonable person might guess, that item originated on a satire site and has been circulated by the gullible and the cynical. If the content isn't enough to spark skepticism, PolitiFact notes, the name of the "victim" should be: Dorothy Zborknak was Bea Arthur's character on the sitcom "The Golden Girls." "We ruled on this topic five years ago, but we’ll repeat it again: Death squads are not a part of the Affordable Care Act, and you can still catch Dorothy on Golden Girls reruns most nights," wrote Lauren Burns. "We rate this claim Pants on Fire!" Susan Barbee, who moved to Charlotte from California in February, called to ask if she has lived here long enough to buy health insurance on the federal marketplace. She still has her car registered in California, and wondered if she needed to switch that before she can get insurance here. There's no waiting period, and paperwork on a car shouldn't be an issue. Newcomers can buy insurance in their new market as soon as they move; all that's needed is a permanent home address (read more here). In fact, Barbee didn't need to wait until 2015 open enrollment started last month. Any time you move into a new market -- and that can mean simply crossing county lines -- you're eligible to apply for a subsidy and buy insurance on the Affordable Care Act exchange. Once you've bought insurance, be sure to go back to HealthCare.gov and enter your new address if you move; it may change your options. Meanwhile, the clock is ticking for 2015. Dec. 15 is the deadline to select coverage that takes effect on Jan. 1. That includes not just first-time buyers but people who want to make changes to their 2014 policies. I've reported before that it's smart for everyone who already has a policy to check out the new options; read more about the hazards of health-insurance inertia from the New Yorker's James Surowiecki. After reading about turmoil in North Carolina's Medicare Advantage program, 85-year-old Marion Meili called with a question: Can I drop my policy and try to find a better deal on the Affordable Care Act exchange? Short answer: No. The exchange, which offers subsidies for low- and moderate-income people, was designed to provide new options for people who don't have access to health insurance. It's not available to those who already have government coverage, including Medicare and Medicaid, or those who have qualified group plans offered by their employer. "It's against the law for anyone who knows you have Medicare to sell you a Marketplace plan," says HealthCare.gov, the official ACA exchange site. Of course, there's never a simple answer for anything related to health coverage, so the site follows up with exceptions: If you're paying a premium for Medicare Part A or if you're eligible for Medicare but haven't signed up you might be able to shop on the exchange (read details here). Medicare Advantage is an option that lets senior citizens enroll in a private insurance plan (get a primer on how the system works here). Meili's policy is with UnitedHealthcare; she tells me she got a notice of a rate hike but called the insurance company and "got it a bit cheaper." That's a good reminder that it's always smart to shop around and ask for a better deal. It's also smart to get help. Medicare options and costs change every year. In North Carolina, call 1-855-408-1212 or visit the Seniors Health Insurance Information Program website to get advice. A note if you live in Mecklenburg County: Shepherd's Center does face-to-face counseling on Medicare enrollment and I have it on good authority (my 80-year-old mom) that they do excellent work. Unfortunately, they're also booked for the rest of this enrollment period, which ends Dec. 7. So if you call the state SHIIP line, tell them you want your question answered on the phone or you may get referred to Shepherd's Center, which will just send you back to the phone line. Shortly before open enrollment began Saturday, a reader who asked to be identified only as Elizabeth logged onto the Blue Cross website to try to estimate the cost of her policy in 2015. To estimate her subsidy under the Affordable Care Act, she was asked to enter her modified adjusted gross income. What, she wondered, is that? I found a one-page explanation of that term created by the University of California Berkeley Labor Center. And HealthCare.gov, the official ACA website, offers a list of tips on what to include and omit in estimating the income that will be used to calculate 2015 tax credits. Wages, salary, tips, net business income, unemployment compensation, alimony, Social Security, investment income and rental income all count toward determining how much aid you can get. Child support, gifts, Supplemental Security Income, veteran's disability payments, workers comp and loans don't count. But the biggest challenge, it seems to me, is that you're not reporting what you made this year but predicting what you will make in 2015. For people with full-time salaried jobs that may be relatively easy, but for many others it's not. As John Murawski of the News & Observer reported last week, a whole lot of people are about to face up to how good their 2014 estimates were as they prepare their taxes. At the risk of sounding like a broken record: When in doubt, get help. You can make an appointment for free personal advice from someone trained to navigate the ACA exchange by calling 1-855-733-3711 in North Carolina and 1-888-998-4646 in South Carolina (I've heard you may get a busy signal, but that should ease after the first few days.) Insurance agents and brokers can also help with the exchange. And remember to check the source of your information. There are a lot of folks with official-looking websites and mailings trying to sell products, push agendas and maybe even rip you off. When I googled the ACA and "modified adjusted gross income," the first link that came up was a detailed explanation on ObamacareFacts.com. The page contains a note that it's "privately owned," and if you click around a bit more you'll learn that it's "run by two guys, we have no ties to any political party or organization and don’t receive funding from anyone." This unnamed duo may be as unbiased as they repeatedly profess to be and their information may be solid. But I wouldn't stake my health or money on it. I visited Greensboro's Bell House in September to meet adults with cerebral palsy and related disorders who had been told their longtime residence was being closed because government guidelines deemed it too big to be a home. Medicaid rules designed to get people out of institutions dried up money for the nonprofit facility, but residents insisted Bell House was far from institutional. The final day was supposed to be Oct. 31, but relocation has spilled into this month. It's not that people weren't eager to help, but finding new homes for people with good minds but severely impaired bodies isn't easy. "It’s certainly been much, much more difficult than we expected (and we knew it would be difficult)," director Jeni Kirk emailed me recently, as she worked to find a place for the last few residents to live. The funding system provides extra support for people with disabilities to live independently or in group homes with no more than three residents. But people like Doris Lentz, who lived at Bell House since 1979, wanted to stay with the residents and staff who had become family. Lentz, who had a bad experience living in a nursing home as a young adult after her mother died, also feared trading the independence she had at Bell House for a more restricted setting. The closing drew extensive coverage, and offers to help came in from nursing homes, assisted living facilities and people with "accessible" apartments to rent. But Kirk says frustrated residents and staff learned over and over that the label didn't mean a facility was ready to handle people in motorized wheelchairs who need help with bathing and other daily activities. "We had residents go visit 'accessible' houses and discover that they couldn’t even get into the building because there were steps, not a ramp," Kirk said. "We even had someone visit a place where the resident's room would have been on the second floor – without an elevator, and the caregivers told them that they would carry the person up and down the stairs These kind of findings were the norm, not the exception." Likewise, assisted living and skilled nursing centers would offer to take residents, only to conclude later that they couldn't handle someone with such extensive physical needs. Rhonda Christenbury of Charlotte, a member of Lentz's family, said one assisted living center in Greensboro had accepted Lentz and a handful of other residents in late October. They had started moving in possessions and changing phone numbers when the facility backed out, Christenbury said. Lentz moved last week to a skilled nursing home in Burlington, Kirk said this week. "Though moving to Burlington was not what she or her family wanted, the facility is apparently quite nice and (Doris) and her family felt okay about the move," Kirk reported. Another Bell House resident and friend will join her this week, though Kirk said she had to fight "bureaucratic rigamarole" to get her in. "The final resident is slated to move to an apartment on Thursday of this week, but again, the bathroom is not accessible and he will likely have to get by with sponge baths until an accommodation can be made to retrofit the bathroom," Kirk concluded. "This experience has really opened my eyes to the crisis that exists for provision of accessible housing for the disabled." I recently made my first venture into the world of consumer cost control in health care. As a baby boomer, I grew up trusting my doctors to tell me what was needed, with insurance picking up the tab. In recent years I've joined many of you in seeing my premiums and out-of-pocket costs rise; my family is now on a very high-deductible plan. When my husband got a screening colonoscopy early this year, we grumbled about being stuck with a $708 bill for anesthesia and pathology ($1,370 before the insurance discount), but we weren't shocked. We were mostly grateful to get more than $2,200 covered for the rest of the procedure. It wasn't until I did an article on hidden costs for procedures that are supposed to be fully covered that I realized we should have asked more questions. Dr. Rig Patel, president of the N.C. Society of Gastroenterologists, offered details on how and why patients can end up with big bills for a cancer screening that's supposed to be covered by all policies. So when I got my reminder email, I was ready. First I followed Patel's suggestion to ask the questions in advance, rather than making an appointment and quizzing the doctor as the procedure is about to begin. When I got a scheduling staffer, I asked about sedation/anesthesia. She said the gastroenterology practice had changed its approach since the last time my husband and I did this. Then patients were given Demerol/Versed, known as conscious sedation. Now they're put under with propofol, which our policy doesn't cover, unless they specifically ask for the old form of sedation. I also asked about timing. I'd been told to expect a follow-up in five years. She said the recommendation was "four to five years," and the practice was giving me the opportunity to do it at four. Yeah ... no thanks. When I make an appointment next year I'll ask for Demerol/Versed, which worked fine the first time. My father, a surgeon, always emphasized the slim but serious risks of anesthesia. Never be put under unless it's a medical necessity, he told me. So skipping the propofol seems like a wise medical approach, as well as a money-saver. Some would cite this as an illustration of the value of shifting costs to patients: With more skin in the game, we stop being "passive consumers." I was pleased that the staffer got back to me quickly and had good answers. But I can't help wondering why it falls to those of us with no medical training to figure out what to ask. Wouldn't it make sense for the gastronterologist's office to lay out the medical and financial implications of a new approach and give all patients an informed choice, rather than waiting to see who speaks up? Mary Gibson was frustrated. I had run an article listing a number North Carolinians could call to get in-person help enrolling for health insurance, but what about South Carolina? The HealthCare.gov link I had listed to look up local options provided little help. My first try at finding a central contact for South Carolina had failed, but I told her I'd keep looking and call her back. I eventually found one (888-998-4646) by posting a query on the Facebook page of a friend who works for The Columbia State. But the challenge illustrates a key finding of a recent study by the Robert Wood Johnson Foundation. The conclusion: North Carolina tapped longstanding partnerships between health care and consumer groups, worked together to create a strong message promoting enrollment and created a central scheduling system that made it easy for people to get help signing up. "The scheduling system tracked data on appointments, sometimes enabling organizations to deploy additional Navigator support in areas with high demand," the report says. "...The establishment of a central toll-free number helped brand the Marketplace and create a unified message about where to go to obtain enrollment information." The system wasn't perfect, it continues, but is serving as a national model for Enroll America, a nonprofit group described as playing a central role in North Carolina's success. "In contrast to the collaborative atmosphere in North Carolina, there were notable conflicts in South Carolina," the report says. "To the shock of many community-based organization, the largest Navigator grant went to an out-of-state, for-profit agency" (DECO Recovery Management of Maryland). As reports at the time indicated, the results were fragmented and confusing. This year the Charleston-based Palmetto Project scrambled to put together a statewide system for scheduling personal assistance after it got a federal grant in September. I'll be curious to hear what upstate residents experience as enrollment begins. The report also suggests that Blue Cross and Blue Shield's dominance of the North Carolina market may have proven an advantage in getting the word out. Last year and again in 2015, Blue Cross is the only company selling ACA marketplace policies statewide (Coventry and UnitedHealthcare are competing in many counties). The report suggests that dominance created an incentive for Blue Cross to market heavily statewide, with such efforts as mobile units and events at retail outlets to reach the uninsured and newly insured. During the 2014 enrollment period, Jacqueline Smith’s son bought health insurance through the Affordable Care Act exchange – or so he thought. Smith says he never got any kind of confirmation, bill or policy and remained uninsured. Now the Charlotte woman is wondering: How can he do it this year and make sure it’s right? The simplest answer is to get help. Insurance agents and ACA exchange counselors offer guidance at no charge. For an appointment with health insurance navigators, call 1-855-733-3711 in North Carolina and 1-888-998-4646 in South Carolina. If you decide to go it alone, look for a bill from the insurance company you chose. Enrollment isn’t complete until the buyer has made the first payment, says Madison Hardee, a Legal Services of Southern Piedmont lawyer who is a health care navigator. "However, we encourage consumers to be proactive and contact their insurance company a day or two after selecting a plan," Hardee added. "That way, they can confirm coverage and go ahead and pay the first month’s payment over the phone." My wife and I got on the affordable care plan last year. Do we have to do anything to renew it? No. If you do nothing by Dec. 15, the plan will automatically renew. But look at the statement from your insurance company detailing any changes in the plan or premium. Experts say it’s smart to go online, update your information and see if there are better deals this year. In fact, the reader who sent this question followed up later that day saying he had just gotten a letter from Coventry saying his old policy was cancelled and offering a new one at three times his current premium, with a higher deductible. How long do immigrants have to be in the country to qualify for insurance on the exchange? Eligibility is based on legal status, not length of residence. Those who have become citizens, hold a green card or have been granted asylum or refugee status are eligible. People who are not in the United States legally can’t participate, regardless of how long they’ve been here. See www.healthcare.gov/immigrants/ for details. A recent U.S. Supreme Court decision to hear a challenge to the Affordable Care Act raises new questions as 2015 enrollment gears up. The challenge involves the 34 states that refused to set up their own exchanges for offering subsidies, including North and South Carolina. Most rulings from lower courts have sided with those who say the federal exchange those states use is valid, but the review raises the prospect that it could be deemed illegal. There's a lot at stake: The first time around, more than 325,000 North Carolinians got tax credits to reduce the cost of health insurance. The consensus seems to be that there's no risk to signing up. Asking people to repay assistance would be unheard of, two experts I spoke with said. A ruling would be unlikely before summer, and both Washington and Lee's Timothy Jost and UNC Charlotte's William Brandon say it's doubtful that the court would leave millions of Americans suddenly stranded without the aid they're counting on. An enrollment Q&A by Margot Sanger-Katz of The New York Times reached the same conclusion: "Ultimately, the case could mean that people in those states (using the federal exchange) who are getting subsidies to help pay for health insurance will no longer be able to receive them. But the case is a long way from being decided and won’t take money away from people who sign up for insurance now." At an enrollment kickoff Wednesday, Charlotte City Council member LaWana Mayfield talked about "fear tactics" being used to deter the people who are most likely to lack health insurance -- young people, African Americans and Latinos -- from signing up. She said people are "being told it will be taken away." "We cannot let fear stop us from gaining access to health care," Mayfield said. One thing seems certain: The political strife over "Obamacare," approved in 2010 with no Republican votes, will rage on in 2015, as the GOP gains a majority in the Senate as well as the House. How much will you pay at tax time if you still don't have health insurance? How can you minimize hassles when the Affordable Care Act exchange opens for 2015 enrollment on Nov. 15? Is there anything you need to do if you got insurance on the exchange this year? "The Insider's Guide to Obamacare's Open Enrollment," a 38-page free e-book produced by healthinsurance.org, provides some of the clearest answers I've seen to these and other questions. To get a copy, go to this link and provide your email address (you're signing up for a newsletter, but you can unsubscribe if you're not interested). A couple of crucial points: If you want your 2015 insurance to be in effect on Jan. 1, you have a short window -- Nov. 15 to Dec. 15 -- to shop on HealthCare.gov. And if you're among more than 357,000 North Carolinians who bought 2014 plans on the exchange, there are good reasons to check whether your plan is still the best deal, rather than letting this year's plan automatically renew. The guide predicts the website will work better than it did last year -- and even explained why I've had so little luck getting any insurance folks to talk to me about the testing: "Insurers (who have tested the 2015 site) are bound by a confidentiality clause that prohibits them from discussing the results of their testing with the media." But with a three-month window this year, compared with six last year, the authors still suggest starting early and doing groundwork in advance. For those who are so inclined, you can call 1-855-733-3711 now to make a post-Nov. 15 appointment for in-person assistance in North Carolina. Get Covered Mecklenburg plans a big opening day enrollment and information event at the Children and Family Services Center, 601 E. Fifth St. It will be from 10 a.m. to 4 p.m. Nov. 15. If you plan to apply, bring your Social Security number, date of birth, employer information, proof of household income and policy numbers for any existing coverage. Premiums for individually-purchased health insurance rose an average of 49 percent during the first year of the Affordable Care Act, with young men seeing rates go up 78 percent, according to a new nonpartisan review of 2013 and 2014 rates. An increase is no surprise. The ACA mandated a higher level of benefits for all policies and eliminated the practice of denying coverage or boosting rates based on medical conditions. But Kev Coleman, head of research and data for HealthPocket, says he was caught off guard by the size of the hikes. "I thought it was going to be a lower amount," he said Tuesday. HealthPocket, a health insurance comparison website owned by Health Insurance Innovations, compared premiums for nonsmoking 23-, 30- and 63-year-old men and women in the two largest metropolitan areas of each state. The study includes 2014 policies sold on ACA exchanges and independently. It does not include group rates for employer-provided insurance. And the 2014 rates don't factor in the government subsidies that reduced payments for most people who bought on the exchanges. The youngest men saw the biggest hike, from an average of $145 a month in 2013 to $258 this year, a 78 percent increase. Again, it's no surprise that men took a hit. The ACA eliminated the practice of charging women more because of the possibility of pregnancy and other gender-specific expenses. The oldest men saw the smallest percentage increase (23 percent), but that's partly because they had the highest 2013 rates ($603 a month, going up to $741). Coleman cautions that the averages don't mean that most people saw rate hikes that big. The ACA eliminated many of the cheapest policies with the stingiest benefits, so those people had to trade up and pay more. Many people who had no insurance in 2013, including those rejected for expensive medical conditions, joined the 2014 pool. Insurance companies raised rates to cover their anticipated expenses. The report doesn't break out increases by state, but it does list 2014 averages. North Carolina's 23-year-olds are paying an average of $249 a month ($9 under the national average), 30-year-olds are paying $283 (also $9 under the national average) and 63-year-olds are paying $736 ($5 under the national average). The report notes that the comparison is "multifaceted and prone to political misuse." You can find a discussion of the issues in the report's conclusion -- and with midterm elections less than a week away, you can also bet on seeing some simplified versions circulating soon. Former colleague Pat Gubbins forwarded a message that landed in her inbox recently, detailing a list of hefty tax hikes "passed under the Affordable Care Act, aka Obamacare." She was skeptical, but it came from a financial professional and, as she noted, "the increases are indeed alarming if true." Actually, it's a viral email that FactCheck.org labeled "nonsense" when it started circulating at income tax time, now updated for election season. Here's the version Gubbins got, forwarded by a cousin in Tennessee. In case you didn't notice. Remember this fact: These taxes were all passed only with democrat votes, no republicans voted for these taxes. These taxes were all passed under the Affordable Care Act, aka Obamacare. If you think that it is important enough that everyone in the U.S. should know this, pass it on. If not, then delete it. William C. Heath, CFPÂ® . Here's what FactCheck had to say: "Some of these figures aren’t accurate, and none of these increases took effect on Jan. 1, 2014, or had anything to do with the Affordable Care Act. And the claim that 'not one Republican voted to do these' is false." It's not that the ACA doesn't include tax hikes. It does, including increased Medicare taxes on high earners, a new tax on high-cost employer-sponsored insurance plans and penalties for people who don't get coverage. But this list seems aimed at creating outrage and anger before people go to the polls next week, not analyzing the health care program. William Heath is indeed the chairman and CEO of Barrington, a Houston-based financial firm with offices in Texas and California. When I inquired, he noted that he didn't write the email, but he didn't deny forwarding a message filled with inaccuracies. "No matter when or who caused the increases, we, the taxpayer, will be paying them," Heath said in an email. He cited the final paragraph from the FactCheck report: "Having said all that, we’ll note that taxes have gone up for some as a result of Obamacare. The law imposes a 3.8 percent tax on net investment income that applies to people who earn more than $200,000 a year for singles, or $250,000 for joint filers. It also levies an additional Medicare tax of 0.9 percent on wages, salaries and self-employment income for people in those income groups. However, these changes also took effect in 2013, not 2014." Reader: Can I swap workplace coverage for Obamacare? Reader D.C. Tomlin has a timely question: "Even if your workplace offers health care insurance can you still price the costs of the Affordable Care Act and perhaps qualify if it is cheaper?" It's timely because many of us are getting 2015 health insurance packets from our employers and learning that premiums will rise. But while it can't hurt to check out HealthCare.gov (the site says "window shopping" info on 2015 rates is coming in early November), it's unlikely you'll find a better deal. If your employer's insurance meets the federal government's standards for affordability and value (read details here), you aren't eligible for a subsidy, which is what keeps ACA premiums low for many low- and moderate-income people. You can still opt out of your employer's plan and pay full price on the exchange, but if your employer is covering part of the premium you're likely to end up paying more. And if you're going that route, you'd do better to look at a wider menu of private-pay offerings (only three companies will offer ACA policies in North Carolina in 2015, and some counties have fewer options). Families like mine face another twist. As the only full-time employee, I've got my husband and 25-year-old son on my Observer policy (the ACA requires employers to offer coverage until children turn 26). Our son works two part-time jobs, neither of which offers health insurance. His income would likely qualify him for a hefty tax credit. But I was initially told that because the ACA makes him eligible for my plan he can't claim that aid. "Having an offer of adequate, affordable employer coverage prevents those family members from accessing financial assistance in the marketplace. This is known as the 'family glitch,' " said Madison Hardee, a Legal Services of Southern Piedmont lawyer and health insurance navigator. However, Donna Elliott Grissom, executive director of HealthNet Gaston, found a link indicating he does have that option. Because he pays his own taxes, rather than being listed as our dependent, HealthCare.gov says he is eligible for subsidies (Hardee agrees that's a crucial distinction). But that's true only if I don't sign him up -- and the Observer's enrollment ends before the ACA exchange opens for 2015 enrollment on Nov. 15. I'm glad we have options, but it does make for complex choices. And in North Carolina, the calculation has to include whether his 2015 income might dip below $11,670, plunging him into the coverage gap in which he would no longer be eligible for aid. That's an issue in states that have declined to expand Medicaid, which was supposed to fill that gap for low-income adults. Grissom, who has young adult children of her own, says she was also unclear on how this works until she started digging. "We both learned something new today," she said. "And like everything else ACA-related – it’s complicated!" Dr. Rig Patel says he can't keep up with all the twists in insurance coverage of colonoscopies, and he's president of the N.C. Society of Gastroenterologists. When I called him recently to ask about hidden costs, he was eager to talk. The situation is changing rapidly for the better, he said, but the situation is still "very frustrating and very difficult" for doctors and patients. As the 50-and-over crowd knows, the last thing you want to do is add unpleasantness to what's already a humbling reminder that you're getting old. Taking a superlaxitive and getting a probe of your bowels is no fun -- but the reduction of colon cancer deaths in people over 50 is one of the big success stories in the fight against cancer. So it's worth talking about a topic that makes us squirm to help people reduce the financial wallop. A screening colonoscopy for people 50 and older is supposed to be fully covered under the Affordable Care Act. But depending on your policy, you could get a bill for sedation, for a pathologist's service or even for the whole procedure if precancerous polyps are found. Patel says private insurance companies are coming around to full coverage, but there are still exceptions -- and patients who get bills based on outdated information. His advice: Work this out with the insurance company and the billing office before you show up, rather than trying to wrangle with your doctors and nurses when the time comes. Don't go to a hospital for the procedure unless there's a medical reason; it can double or triple your bill, Patel says. And ask how you'll be sedated. Some doctors administer Demerol and/or Versed to induce drowsiness and reduce pain. That's not likely to generate a separate bill. However, Patel says the trend is toward using propofol, which puts patients into a deeper sleep and must be done under supervision. He said his practice in Raleigh has shifted from an anesthesiologist to a certified nurse anesthetist to cut costs. Ask your doctor about the medical and financial issues beforehand. Can a patient skip the sedation altogether? "If they're motivated we will do that," Patel said, but it's far from ideal. "You need a very quiet, peaceful patient who's not moving around. We want to be able to focus on the procedure and not on that uncomfortable patient." A recent conservative poll found that 60 percent of voters want Congress to repeal the Affordable Care Act. The Kaiser Family Foundation's polling found the opposite, that 63 percent would rather see Congress work to improve it. So what's up? According to a piece by Jeffrey Anderson in The National Review Online, it's a sign that the Kaiser foundation skewed results by casting the issue as a choice between "work to improve the law" and "repeal the law and replace it with something else." The political research and strategy firm McLaughlin and Associates offered the options of "it should remain the law of the land, either in its current form or in amended form," "it should be repealed and replaced with a conservative alternative that aims to lower health costs and help people get insurance," or "it should be repealed but not replaced with an alternative" (the last two combined got 60 percent). 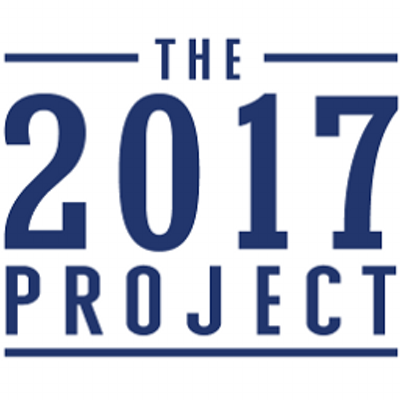 Anderson is executive director of The 2017 Project, which promotes a conservative agenda. He argues that Kaiser isn't the "gold standard" on health care polling that many in both parties believe it to be, but "a pro-Obamacare outfit." Given the Observer's decision (and mine) to work with Kaiser Health News, which is funded by the foundation, I thought that was worth checking out. It didn't take long to find that the McLaughlin questions were focused on conservative alternatives promoted by The 2017 Project -- or that Anderson's group commissioned that poll, which he failed to mention in the National Review piece. As I reported last month, the Kaiser poll also found plenty of anti-Obamacare sentiment -- in fact, the Kaiser poll got a stronger negative reaction to "a health reform bill signed into law in 2010" (49 percent unfavorable to 35 percent favorable) than The 2017 Project poll got to "the Patient Protection and Affordable Care Act, also known as Obamacare" (52 percent disapproval to 43 percent approval). But there's an important kernel of truth in Anderson's piece when he notes that "improve the law" and "replace it with something else" are vague options. That's the nature of public polling; we get people's gut reaction to broad terms, not an in-depth analysis. From what I can tell, most Americans agree that our health care system needs a lot more work and few of us know how to make that happen. So here's my suggestion: If you're trying to think through what needs to happen next year, check out Politico's recent piece on Obamacare 2.0. The online magazine asked 15 leaders in the health care scene to describe the next steps. The authors span the political spectrum. Some tout the act's successes while others proclaim it a disaster. But they all talk about follow-up actions, whether that's creating a single-payer system (independent Sen. Bernie Sanders), rolling out a new system that emphasizes choice and cost control (GOP Sen. Lamar Alexander) or making adjustments to what's in place. Reading this piece takes time, but it's the kind of discussion regular people need to tap into if we want to get beyond sound bites.